Do you dream about giving your two weeks notice? Are you ready to leave your 9 to 5 life behind? You’ve heard so many stories of women quitting their day jobs and starting their own successful blog or business. Stories of women becoming their own bosses and changing their lives for the better. You want to be one of them, but how do you actually make it happen? How do you slay your goals? What’s one app or tool that you can’t do without? What’s your favorite and least favorite part of being an entrepreneur? What books do you think every entrepreneur should read? What’s your strategy for finding clients or readers? What role does social media play for you? Do you have a special offer you’d like us to know about? If you’ve ever daydreamed about giving your two weeks notice, then this is the interview for you. 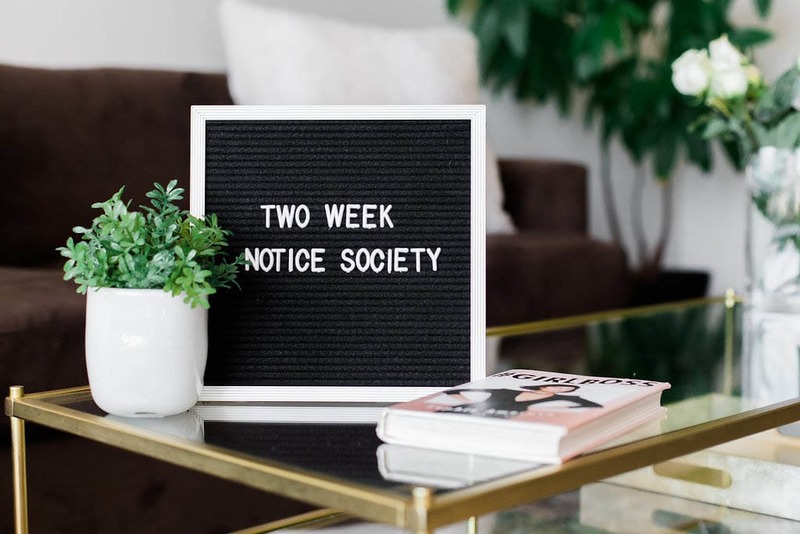 Amy Coats of Two Weeks Notice Society is dedicated to helping women you transition from your day job to your dream job. 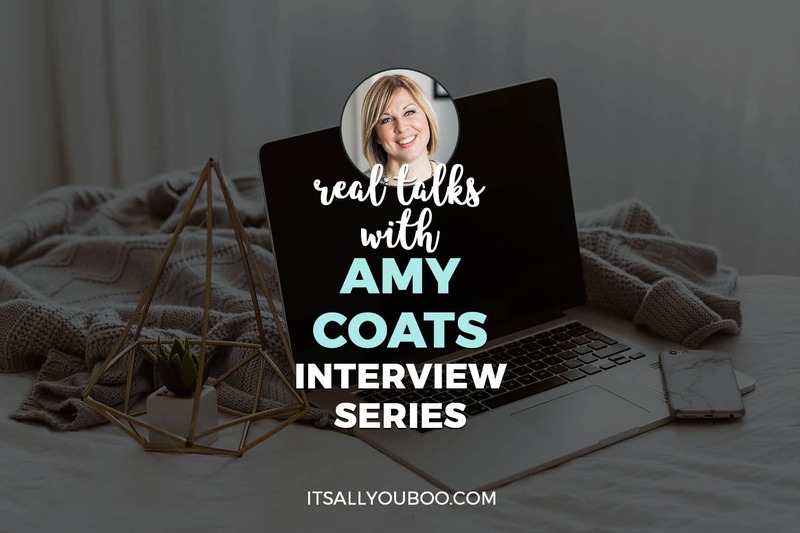 In this real talk, Amy gives you a glimpse at her day to day life running a successful online business and shares helpful tips to help you do the same. #1. Who are you and what’s your story? I’m Amy Coats – Corporate Exit Strategist, and founder of Two Week Notice Society. After 20 years in the corporate 9 to 5 world, I realized that I no longer liked what I was doing, who I was working with, and who I was working for. After much soul searching and deliberation, I realized that my 9 to 5 was limiting my ability to grow and draining the motivation and energy I took great pride in. Today, I live a life where I enjoy what I do, cherish the people I work with, respect the time and efforts of others, and have time for friends, family, and the volunteer groups I am fortunate enough to be engaged with. But it wasn’t enough for me to find my happy place in the world. I talked to so many women who felt the same way I did, experienced the same dread, and carried with them the same self-doubt. These were smart, motivated, energetic women who were being limited by the 9 to 5 world. So I created Two Week Notice Society and a program that contains the exact roadmap I followed to make it to the other side. #2. What’s your average day like? I read The Miracle Morning by Hal Elrod while in my 9-5 and creating my side hustle. At that time, I needed something that would allow me to focus, get clarity and take some time to myself as I started my long days. I now meditate first thing in the morning (after making coffee), diffuse some beautiful essential oils, read a self-development book for 10 minutes and then journal for 10 minutes. For me, I love this simple routine and feel it sets the tone for my day. I feel so fortunate to have the flexibility I now have as part of owning my own business. While in my 9-5 I would check my email (and sometimes answer!) before even getting out of bed. I was always checking my phone and email to make sure my boss or co-workers weren’t contacting me (even on vacation days!). Recently I met a friend for coffee and we ended up talking for 4 hours!!! It felt so amazing to be able to enjoy my time with my friend without having to be concerned about my boss calling or being attached to my phone. #3. How do you stay motivated? What or who inspires you? There are a few things that motivate me. 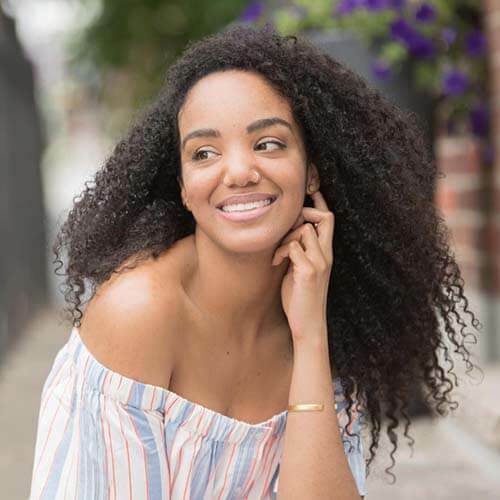 One, I want to inspire and help as many women as possible (I have a goal of impacting 1,000 women by the end of 2020). I know exactly how it felt to be in a 9 to 5 that I just dreaded, but felt I had to stay because that was the social norm and that’s what my parents wanted for me. I want to make sure women know there is a better way and that they can be successful. My parents are the hardest working people I know with the strongest work ethic and I would love to be able to treat them to an amazing vacation! #4. Let’s talk about goals. How do you slay yours? At the beginning of each month, I set my goal and what I need to do to achieve it. As part of my morning routine, I journal, which includes writing out my goal as if it already happened. I also have a huge whiteboard in my office where I write my goals for each month. It really helps to keep them visible! #5. What’s one app or tool that you can’t do without? Trello! I love Trello and use it every single day! I organize my day, keep checklists, organize my business, launches, social media content – you name it, it’s in Trello! Even vacation planning happens in Trello! #6. What’s your favorite and least favorite part of being an entrepreneur? Favorite – I own my schedule and create my own success! And I love the amazing people I have met online. Least – Sometimes it’s hard to explain to people who don’t understand the “online world” what I do. #7. What advice would you give to someone just starting out? The right way involves a plan, a system for ensuring financial obligations are met while nurturing your emotional and creative needs. I teach my clients how to build a solid business foundation so they are set up for success! Also, avoid Shiny Object Syndrome! Sometimes it’s just best to take one piece of advice and implement before moving on. There is no one secret to success! #8. What’s the best business advice you’ve ever received? I like this quote for a few reasons. If you stay miserable in your 9-5, chances are you will stay miserable in that position. The same goes for creating your own business. It’s easy to compare yourself to other’s success, but it’s important to stay in tune with what you’ve done and what is working and what isn’t working in your business and adjust accordingly. I think in summary this quote means to me that we always need to be evaluating. Whether it be personal or business, if we aren’t happy with the results we need to change what we’re doing. #9. What books do you think every entrepreneur should read? I loved Russell Brunson’s Expert Secrets book. You are a Badass is life changing! A book you can definitely read multiple times! #10. Do you have a favorite quote or saying? I love all things Abraham Hicks and often screenshot her sayings to read over and over again when scrolling through my photos!  RELATED POST: What is the Law of Attraction? How Does it Work? I find this to be SO true! After listening to Abraham Hicks more often, I really try to stay in alignment and not think or attract negativity. #11. Can we talk about money? I have a COO consulting business where I have 2 clients that I love. I also have my Two Week Notice Society business where I offer 1:1 coaching and group coaching. #12. What’s your strategy for finding clients or readers? I find clients through social media – Facebook, Facebook Groups, Instagram. I do collaborations with others such as an interview on my FB Page, in my group and appear as a guest in other Facebook groups, summits, etc. Also, I do some local networking and am an active member of some local women’s entrepreneur groups. #13. What role does social media play for you? I am very active on Facebook and Instagram. For Instagram, it’s because of all the pretty pictures, but LOVE stories as you get to see real life (most of the time). I like Facebook groups that I’m active in as I get to actually get to know people. #14. Do you have a special offer you’d like us to know about? 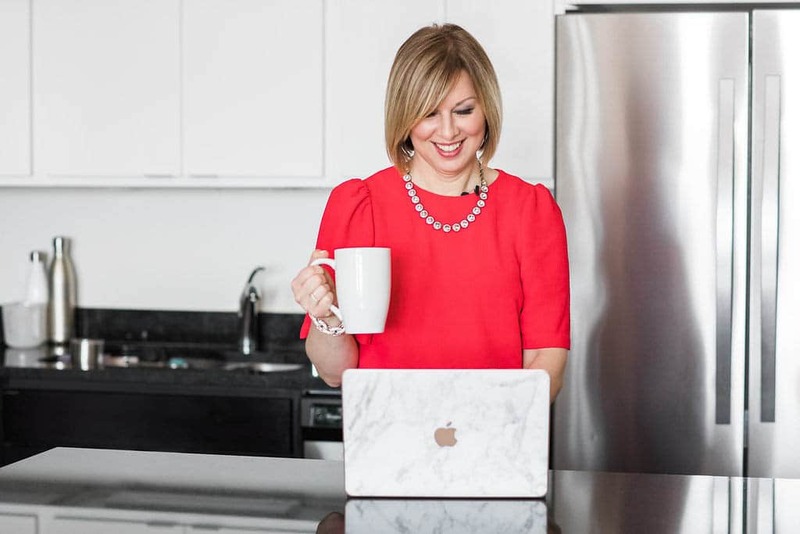 Join my FREE action-packed 60-minute workshop on How To Make A Full-Time Income In Your Side Hustle (So you can leave your 9 to 5)! 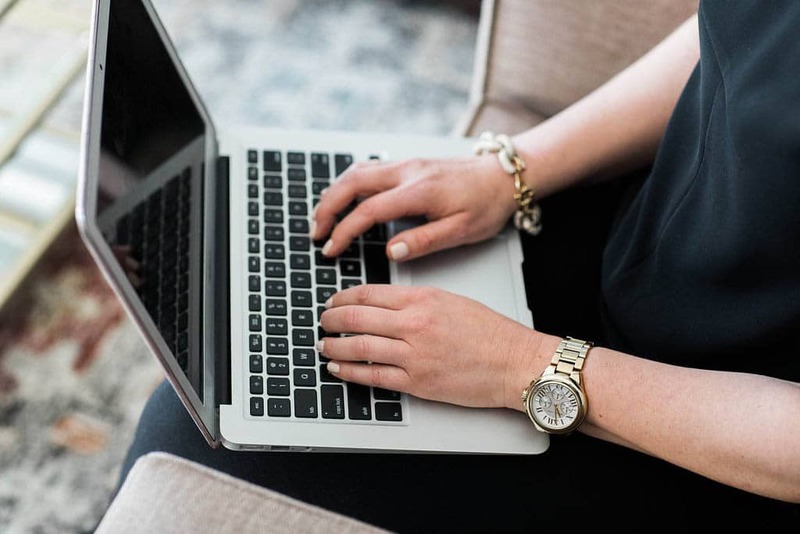 ✅ A proven 4 step process to create income in your side hustle so you can finally leave your 9 to 5 (even if you haven’t made any sales or don’t have an audience) that helped me replace my 6 figure income with my side hustle in just 6 months. Click to sign up and learn more! Reading? I read multiple books at a time! I currently have on my bedside – Profit First, The Secret, The Universe Has Your Back, and a John Maxwell book. Listening to? I love Podcasts! My faves – James Wedmore, Amy Porterfield, Heather McDonald, Tony Robbins, Gary Vee. Eating? I LOVE sweets. I’m actually attempting a Whole 30-ish style diet starting tomorrow (isn’t that what everyone says??) Really into Trader Joe’s natural peanut butter and honey crisp apples. Obsessed with? The hurricanes in the Caribbean. My boyfriend and I have traveled to the Caribbean extensively and it breaks my heart to see all the devastation. The people in these islands have always been extremely gracious, kind and accommodating to us. I’m praying for recovery and peace for the people of the Caribbean! 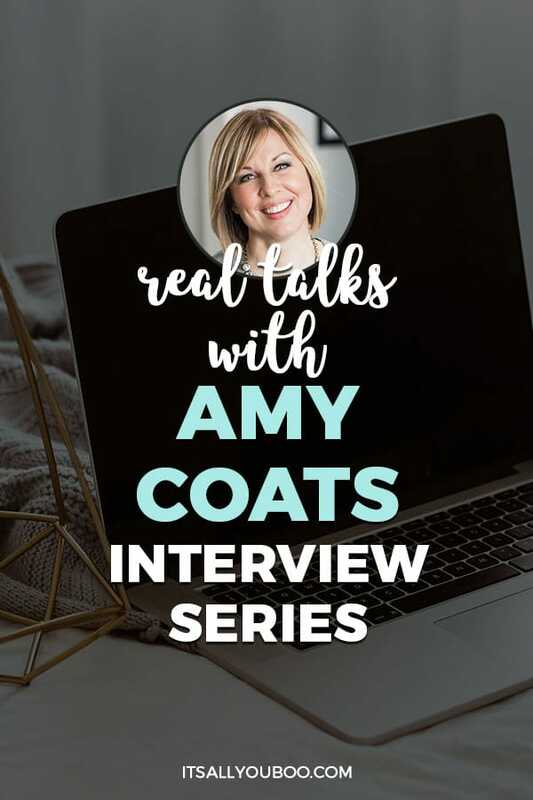 Amy Coats is an Entrepreneur, Corporate Exit Strategist, CFO, and founder of Virtual COO Solutions & Two Week Notice Society. After 20 years in the corporate 9 to 5 world, she realized she was destined for something far more satisfying. This was a great interview, so inspiring and so helpful. She has done what I want to do which is to leave my 9 to 5. Thanks to Amy for the wonderful tips. Thank you Lia! So glad they were helpful for you! Great interview. I love the Miracle Morning and find that I have much more clarity when I implement a morning routine. I love that she was able to replace her income in such a short time, impressive! Thank you so much Nika! I loved the Miracle Morning too! This was good insight, I recently started using Trello with a client. I love it, I need to use it to manage my own day to day life. Thanks Mimi! Trello keeps me so organized! Leaving my 9-5 was a first step for me. No way I could’ve learned as much starting my blog while working full time. Now I feel like I’m in a routine and could handle both. Congrats on leaving your 9 to 5 Lauren! Having a routine is crucial. I remember like it was yesterday when I gave me notice. I actually gave my notice a year in advance and I counting down the days daily on my desk LOL. LOL! It’s the best feeling in the world. Congrats on leaving! This was an awesome interview, filled with lots of insight and takeaways. I need to check out Trello. I get overwhelmed with new tools and stall on trying them. I need to get on it. I have little rituals and things that I do in the mornings. One thing I haven’t been able to do is to read and meditate in the mornings, but I can do those things at night in the shower when the kids are sleep.